WASHINGTON (NNPA) —Still reeling from the Great Recession, middle class Blacks are maintaining their status by using credit to help cover their basic living expenses, according to a report from the NAACP and public policy research organization, Demos. 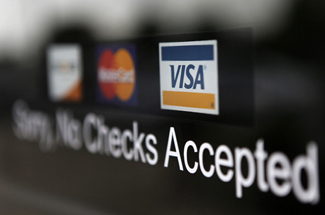 In the Recession’s aftermath, 79 percent of middle class African American households carry credit card debt. And although they have less debt than before the Recession, the credit crunch continues as Black households spend an average $368 on credit to make ends meet. Released earlier this month, the report, “The Challenge of Credit Card Debt for the African American Middle Class,” is an outgrowth of a larger national study on middle class credit card debt since 2010. It found that although African Americans owe less than they did in 2008, 42 percent of households are relying on their cards for basic living expenses when their incomes and savings fall short, a trend that persists across the entire middle class. Black families are also building their futures on credit, using cards to support higher education, entrepreneurship, and medical expenses. The seeds for economic dispartities seen today have been sown over 50 years of redlining, blockbusting, and predatory lending. Today Black Americans have $1 in assets for every $20 owned by White Ameri­cans, and, according to the study, more than half of it is tied to homeownership. Enter the Great Recession, when the housing bubble inflated by predatory lending practices bursts, dragging the global economy and hope for long-term Black wealth down with it. Only 55 percent of the study’s Black respondents own their home, compared to the 72 percent of White respondents. If homeownership has been considered the cornerstone of the American Dream, then education has been considered the bulldozer that clears the way. According to the report, 80 percent of Black college grads took out some amount of loans in order to attain a higher education, compared to 65 percent of Whites. Credit debt as a result of student loans can then affect career outcomes, as credit checks are sometimes part of the hiring process. Those with poor credit are often relegated to low-paying jobs due to this dubious but legal practice. For this and other reasons, entrepreneurship has also been considered a path to the good life. In the study, an overwhelming 99 percent of indebted moderate-income African American households who had expenses related to starting or running a business in the past three years still carry that expense on their credit card bill. Interestingly, Black and White households reported different reasons for poor credit: 44 percent of White respondents cited late mortgage payments and using all or nearly all of their credit lines while 40 percent of Black households cited late student loan payments and credit report errors. However varied the causes, middle class credit use and debt levels are similar across race—it’s the consequences that raise eyebrows. The report found that African Americans and Whites had similar rates of card default, late payments, bankruptcy, eviction, and repossession. However, 71 percent of African American households had been called by bill collectors, compared to 50 percent of White households. African Americans in the report were also more likely to report card cancellations, limit reductions, or credit rejections in the last three years (53 percent of Black respondents compared to 36 percent of Whites). Even if credit score isn’t a problem, indebted African American households face higher interest rates, reporting an average APR of 17.7 percent on the card where they carry the greatest balance. For White households it’s 15.8 percent. Despite this, African American respondents were less likely to moderate their card use as a result of higher rates, which suggested to the authors that Black households have less of a choice in staying afloat. The government stepped in in 2008 with the Credit Card Accountability, Responsibility, and Disclosure (CARD) Act, which has helped at least a third of the African American respondents in the study pursue financial freedom. The CARD Act attempts to create a more equitable and less predatory credit climate for all Americans through billing transparency and plain-language credit terms and conditions. In its first year alone, the CARD Act halved the amount of late fees Americans paid, according to the Consumer Financial Protection Bureau. Most Americans have noticed a warning on their bill about the consequences of making a late payment (77 percent of Americans), or only paying the minimum (70 percent). Bailey believes that with support, these trends in greater credit debt management will result in restored homeownership, stronger communities, and a strong economy overall. The report makes similar assertions and offers both state and federal policy recommendations for fostering fairness in the credit industry, including an expansion of the CARD Act’s success.